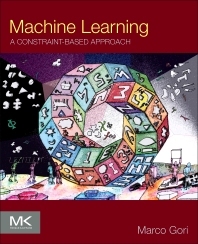 Machine Learning: A Constraint-Based Approach provides readers with a refreshing look at the basic models and algorithms of machine learning, with an emphasis on current topics of interest that includes neural networks and kernel machines. The book presents the information in a truly unified manner that is based on the notion of learning from environmental constraints. While regarding symbolic knowledge bases as a collection of constraints, the book draws a path towards a deep integration with machine learning that relies on the idea of adopting multivalued logic formalisms, like in fuzzy systems. A special attention is reserved to deep learning, which nicely fits the constrained- based approach followed in this book. This book presents a simpler unified notion of regularization, which is strictly connected with the parsimony principle, and includes many solved exercises that are classified according to the Donald Knuth ranking of difficulty, which essentially consists of a mix of warm-up exercises that lead to deeper research problems. A software simulator is also included. (http://www.topitalianscientists.org/top_italian_scientists.aspx). 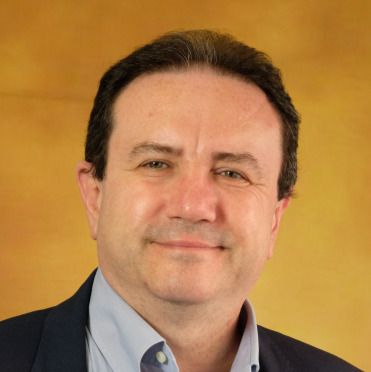 Dr. Gori is a fellow of the IEEE, ECCAI, and IAPR. The book offers a unified and innovative vision of the science of machine learning and proposes a fascinating journey inside intelligent agents that are able to learn and reason through an approach based on environmental constraints. The author manages to explain their behavior by analyzing the agents from within, as might a psychologist or psychoanalyst. Machine learning is presented as an exciting scientific planet ready to be explored. Walking through the theoretical and practical aspects of the fundamental concepts and algorithms of machine learning, including supervised and unsupervised learning, kernel machines and neural networks, the reader understands how to model the interactions of the intelligent agent with its environment in terms of an appropriate set of constraints that the agent will learn to satisfy. Right from the beginning the reader is infected by the pervasive enthusiasm and the palpable excitement of the author - something rarely present in more traditional textbooks. Finally, the book is written in way that makes it accessible for those approaching machine learning for the first time, yet very revealing even for those who have been using machine learning for a long time. Some years ago Marco Gori described to me his idea of constraint-based learning. Not much time was required to convince myself that Marco’s point of view was strongly innovative. I enthusiastically accepted his invitation to work together on some aspects related to this subject and so I could give a small contribution to Marco’s “big picture”. When I first saw the monograph, I was impressed by how much work Marco did in recent years on this topic and how clearly he can now present constraint-based learning. This book looks to me like a great “fresco”, in which a large variety of colours and tones have been put together in such a way as to create an exciting overall view. Despite the novelty of the approach described and the fact that research on this subject is quite recent, the material is presented with the elegance and clarity of a classical, well-established theory. Marco has the capability to guide through the various chapters of his "novel", so that the reader can enjoy the book like an enthusiastic journey in the world of constraints. Each concept and each theorem are presented in such a way that they seem to arise in the most natural way and exactly at the right moment. Although some advanced mathematical tools are used, rigour is achieved avoiding heavy formalism and allowing also less technically-oriented readers to enjoy the book. Summing up, this is an excellent monograph dealing with machine learning from an innovative point of view, which lays the foundations of a new theory with strong impact on machine learning applications. It opens the doors to a wide range of research directions. Definitely, Marco’s work is a “must” for researchers and practitioners in machine learning. The book develops a new point of view of Machine Learning that is able to encompass different techniques and settings. integrates symbolic and subsymbolic learning, one of the longstanding open problems in Artificial Intelligence. and operating over time, showing how a constraint point of view can bring new insights on the problem. its accessiility makes it a good text for students and for people that want to get a fresh point of view on Machine Learning.